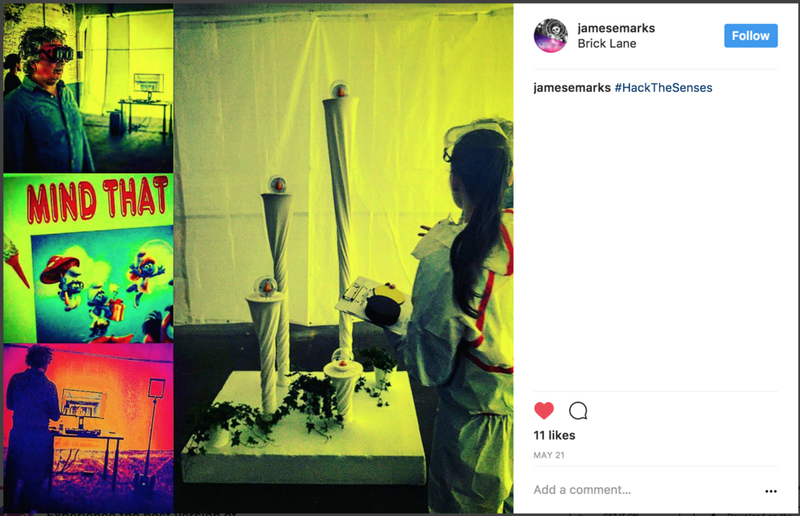 During the Open Senses Festival 2017 our team took over a 700 square metre area on the second floor of the iconic Old Truman Brewery on London's Brick Lane. Here, we set up the Institute for Sensory Reconnection, a unique and multi-sensory take on the genre of the escape game. 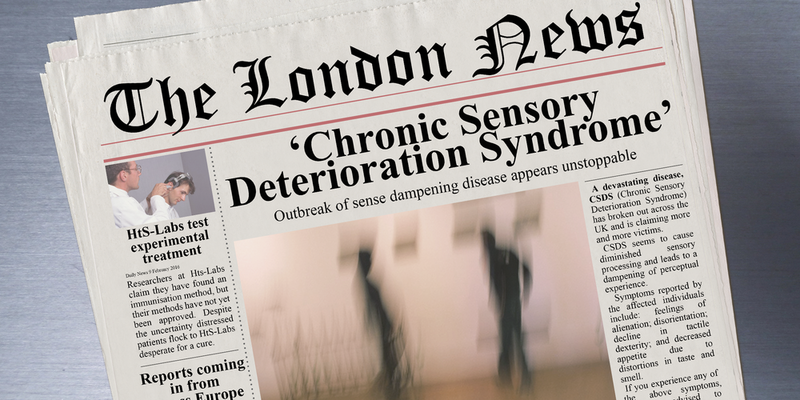 It was set in a fictional near future, where a devastating disease, Chronic Sensory Deterioration Syndrome (CSDS) was gradually robbing people of their senses. We set up our quirky, semi-underground research facility to test and administer a sensory reconnection and immunisation protocol. Visitors arrived in small groups and were greeted by lab assistants - dressed in anti-hazard suits - and a telepresence robot. Through the robot, the Institute's lead researcher, Dr Karlovič briefed the new arrivals about the disorder and the protocol that was about to be initiated. Subsequently, visitors underwent a series of perceptual tests and assessments to determine their current disease state and risk level. Since everyone was found to be at risk of CSDS they had to go through our immunisation sequence. This consisted of 6 sensory challenges. The first 5 were addressing one sense each, starting with a challenge based only on sounds, then one based only on smell, then taste, then touch, then vision. Throughout the experience players collected small tokens after solving each challenge successfully. The final task involved a vision-to-sound cross-modal puzzle for which they had to use the tokens collected during the previous rounds. The images below illustrate the game flow. Click to enlarge.